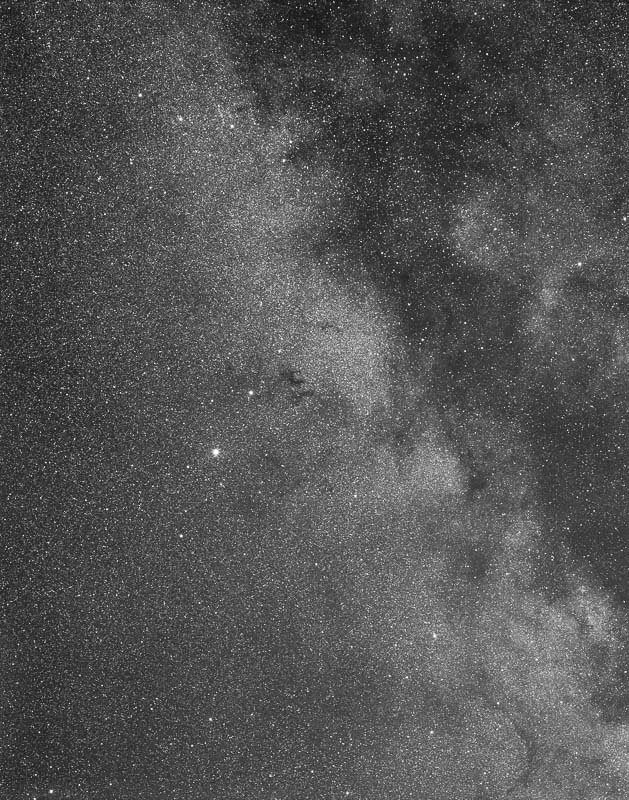 A widefield image taken at Calstar 2013 showing the dark clouds of the Milky Way from Aquila to Sagitta. The Triple Cave nebula is centered in the frame as I was taking a digital image at the same time. Shot on Acros 120 film with a Pentax 67 camera usign the SMC Pentax 6X7 165mm f/2.8 lens at F4 with a Y2 filter to increase contrast. 40 minute exposure. Scanned with Epson V700 and curves in LR5.